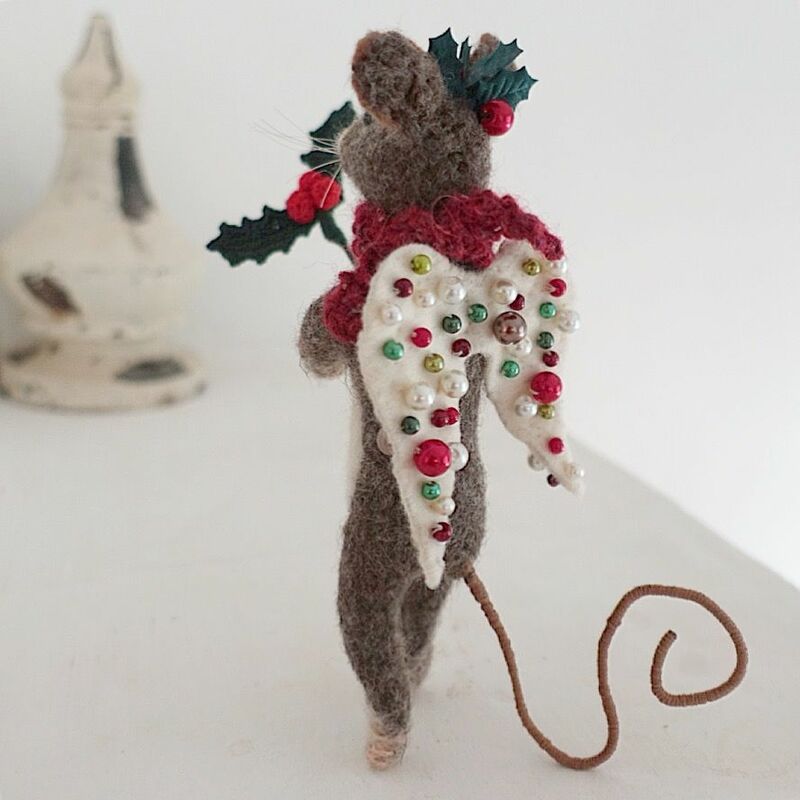 A wonderful Christmas project in collaboration with a needle felt artist Susie Sage from Wild&Wool. Susie makes amazing lifelike woodland creatures and I am very happy to be a part of one of her projects. 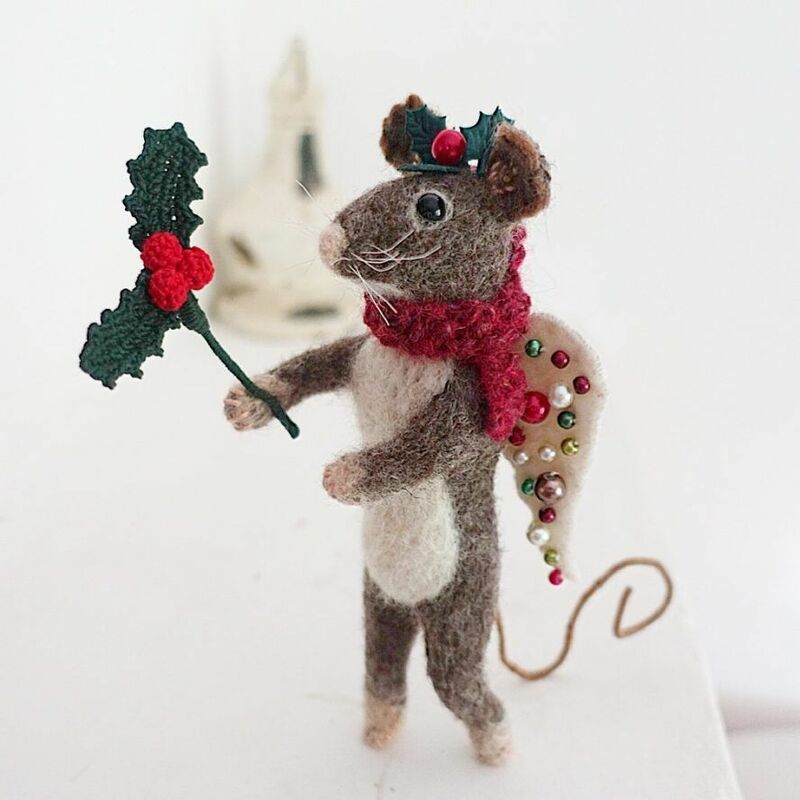 I crafted a crochet holly wand for Susie’s Christmas Angel mouse. 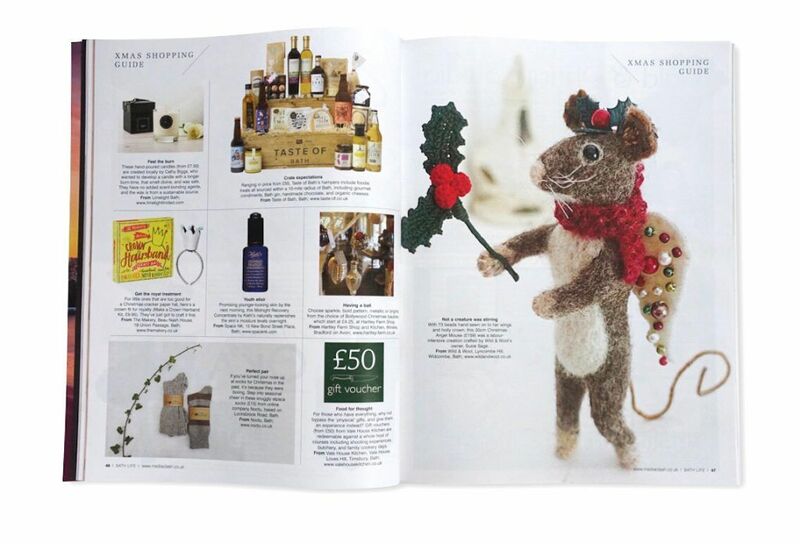 This little cutie was featured in Teasel England window display in Tetbury and was published in Christmas edition of Bath Life magazine.